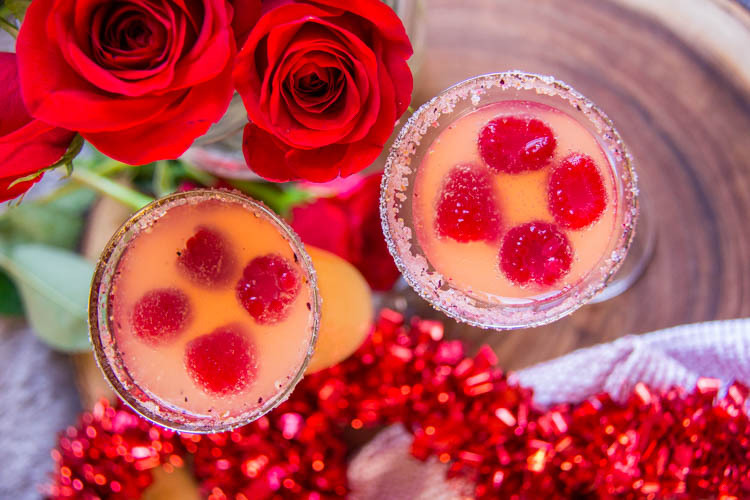 Need a His & Hers cocktail duo this Valentine’s Day? “HERS” is Something pink and pretty and very romantic…A Valentines day Vodka Cocktail. Let’s call it the “Pretty in Pink”! What chick doesn’t love that movie? I teamed up with Erica Key of Eating with Erica to mix up a full date night worthy menu. The Most Romantic Appetizer and The Easiest Valentines Day Dessert. 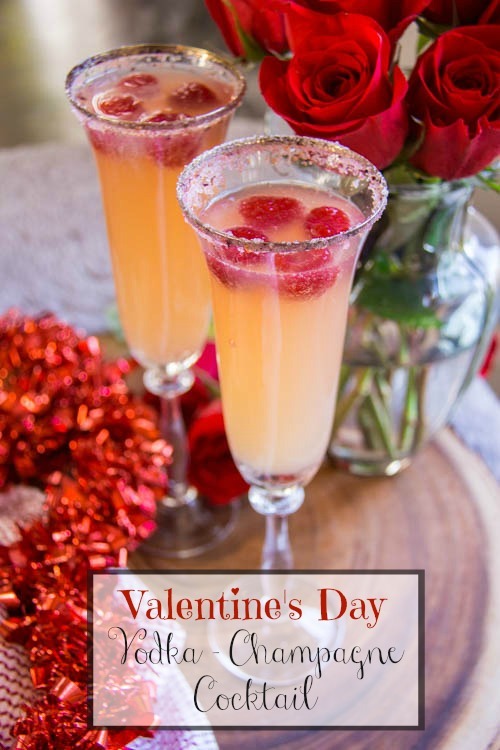 For the ladies, I made a Valentine’s Day vodka cocktail with Cathead Vodka (we love them), St. Germain, Champagne and Grapefruit Juice. 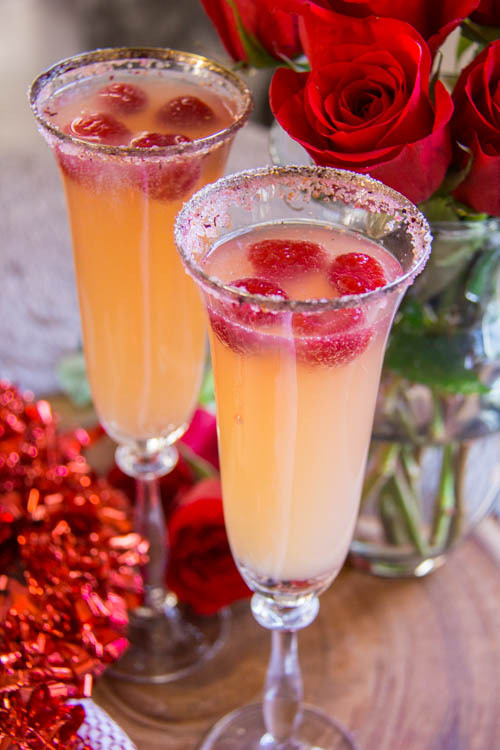 With a gorgeous sugared rim, a beautiful glass, and about 30 seconds, this easy breezy cocktail will instantly set the mood! [TIP] Stocking your bar with pretty glasses and fun cocktail sugars make creating cocktails for any occasion a breeze! Don’t forget about your fella! Click here for our HIS cocktail (it boasts Bourbon & Champagne)! You may love it enough to share one with him. Dip the rim of a champagne flute into grapefruit juice then press into cocktail sugar. Place raspberries into flute. Add St Germain, vodka and grapefruit juice. Top off with champagne.